Each year we have a group of very dear friends visit us throughout the Christmas period us on selected nights. These visitors are a group of people who are dedicated and passionate in bringing smiles to the faces of children and parents alike - and they are known as Cosplayers! They are often found visiting various Hospitals - putting smiles on kids’ faces - donating their time for the joy of others! We are blessed that they share the love of Christmas as much as we do! 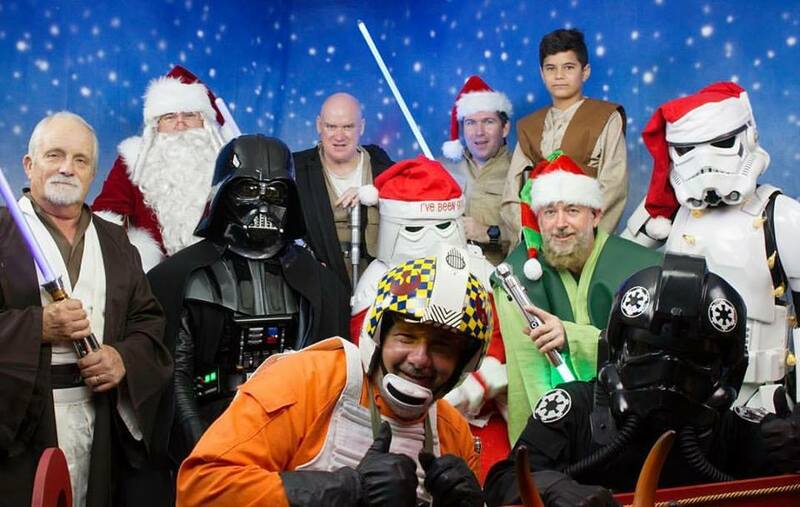 Depending upon the night depends on who may find roaming around our Santa Studio - we have had visits from Wolverine, Spiderman, Wonder Woman, Stormtrooper's from Star Wars even the entire crew from the Ghostbusters complete with working Laser's and Ghosts. These wonderful characters are only too happy to pose for photographs with children and adults alike and bring another dimension to our already amazing Christmas Experience. Spiderman, Wonder Woman, Wolverine and 2 Storm Troopers pose with a fan! 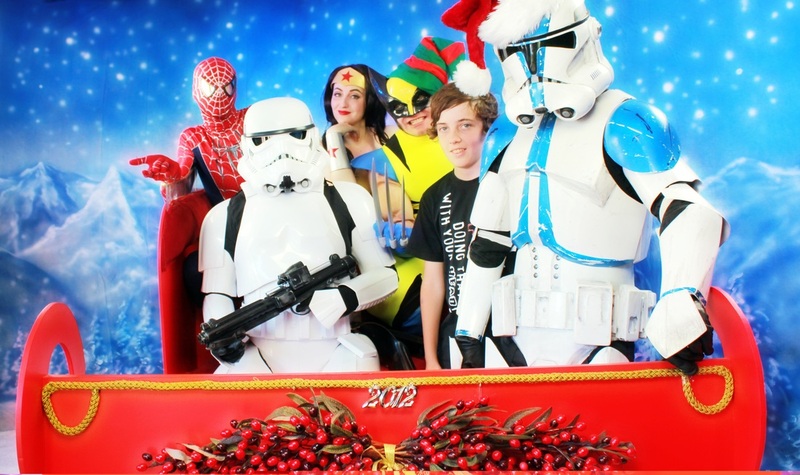 The 501st Legion Redback Garrison aboard Santa's Sleigh at Belmont Santa Studio!